The 82nd Division was redesignated on 13 February 1942 as Division Headquarters, 82nd Division. 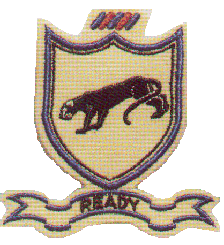 It was recalled to active service on 25 March 1942, and reorganized at Camp Claiborne, Louisiana, under the command of Major General Omar N. Bradley. During this training period, the division brought together four officers who would ultimately steer the US Army during the following two decades: Matthew B. Ridgway, Matthew D. Query, James M. Gavin, and Maxwell D. Taylor. On 15 August 1942, the 82nd Infantry Division became the Army's first airborne division, and was redesignated the 82nd Airborne Division. In April 1943, its paratroopers deployed to North Africa under the command of Major General Matthew B. Ridgway to participate in the campaign to invade Italy. 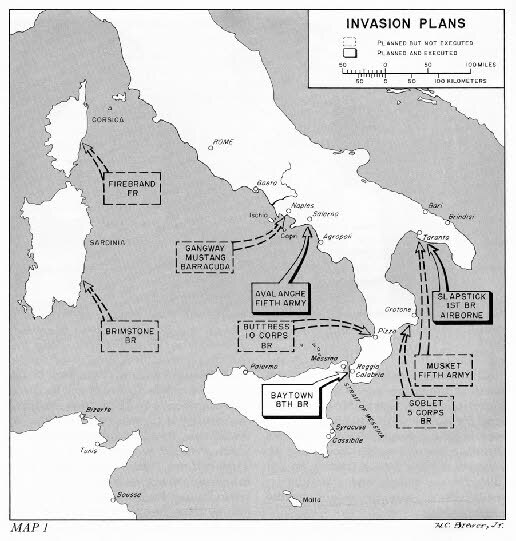 The Division's first two combat operations were parachute assaults into Sicily on 9 July and Salerno on 13 September. 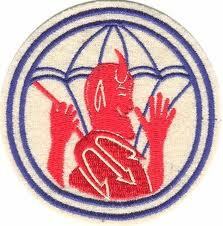 The initial assault on Sicily, by the 505th Parachute Infantry Regiment, was the first regimental-sized combat parachute assault conducted by the United States Army. The first glider assault did not occur until Operation Neptune as part of D-Day. Glider troopers of the 319th and 320th Glider Field Artillery and the 325th Glider Infantry instead arrived in Italy by landing craft at Maiori (319th) and Salerno (320th, 325th). With two combat assaults under its belt, the 82nd Airborne Division was now ready for the most ambitious airborne operation of the war so far, as part of Operation Neptune, the invasion of Normandy. The Division conducted Operation Boston, part of the airborne assault phase of the Operation Overlord plan. In preparation for the operation, the division was reorganized. To ease the integration of replacement troops, rest, and refitting following the fighting in Italy, the 504th did not rejoin the division for the invasion. 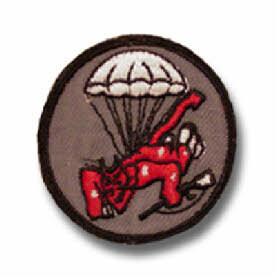 Two new parachute infantry regiments, the 507th and the 508th, provided it, along with the 505th, a three-parachute infantry regiment punch. On 5 June and 6 June, these paratroopers, parachute artillery elements, and the 319th and 320th, boarded hundreds of transport planes and gliders to begin history's largest airborne assault. Its 325th Glider Infantry Regiment would later arrive by glider on 7 June to provide a division reserve. By the time the All-American Division was pulled back to England, it had seen 33 days of bloody combat and suffered 5,245 troopers killed, wounded, or missing. Ridgway's post-battle report stated in part, "...33 days of action without relief, without replacements. Every mission accomplished. No ground gained was ever relinquished." 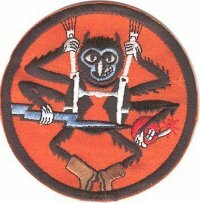 Following Normandy, the 82nd became part of the newly organized XVIII Airborne Corps, which consisted of the U.S. 17th, 82nd, and 101st Airborne Divisions. 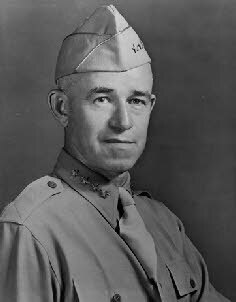 Ridgway was given command, but was not promoted to Lieutenant General until 1945. 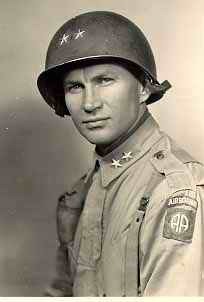 His recommendation for succession as commander was Brigadier General James M. Gavin. Ridgway's recommendation met with approval, and upon promotion Gavin became the youngest two-star general since the Civil War to command a US Army division. 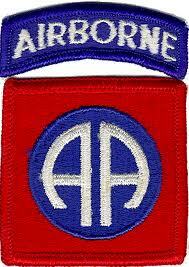 On 2 August 1944 the division became part of the First Allied Airborne Army. In September, the 82nd began planning for Operation Market Garden in the Netherlands. The operation called for three-plus airborne divisions to seize and hold key bridges and roads deep behind German lines. The 504th, now back at full strength, was reassigned to the 82nd, while the 507th was assigned to the 17th Airborne. On 17 September, the 82nd conducted its fourth World War II combat assault. Fighting off German counterattacks, the 82nd captured its objectives between Grave, and Nijmegen. 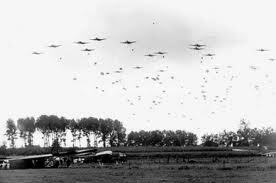 Its success, however, was short-lived because the defeat of other Allied units at the Battle of Arnhem. After a period of duty on the Arnhem front, the 82nd was relieved by Canadian troops, and sent to France. Following Germany's surrender, the 82nd entered Berlin for occupation duty, lasting from April until December 1945. 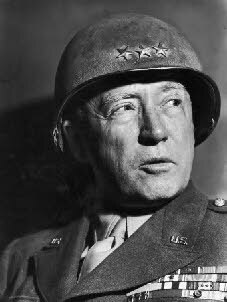 In Berlin General George Patton was so impressed with the 82nd's honor guard he said, "In all my years in the Army and all the honor guards I have ever seen, the 82nd's honor guard is undoubtedly the best." Hence the "All-American" became also known as "America's Guard of Honor."